This coming Monday, February 20th is a national day of action in support of prisoners organized by Occupy 4 Prisoners. Here in New York City, the Prisoner Solidarity Working Group, which originally formed as a subcommittee of the People of Color Working Group, is planning a march and action in Harlem at the Lincoln Correctional Facility. What follows is information from the Prisoner Solidarity Working Group. For those outside of NYC, find an action in your area here. The Prisoner Support Working Group of Occupy Wall Street answers Occupy Oakland’s call to action and march in solidarity with the California Pelican Bay hunger strike, with brothers and sisters who are dispossessed by the criminal INJUSTICE system, and with political prisoners everywhere. 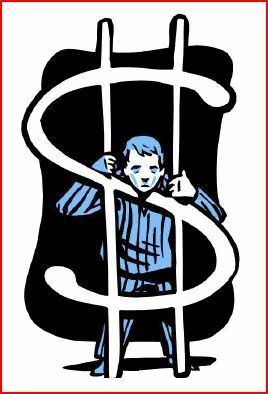 The Prison Industrial Complex = Capitalism on Steroids. Mass incarceration is the new Jim Crow. Between 1970 and 1995, the incarceration of African Americans increased seven-fold. African Americans make up 12 % of the population in the U.S. and 53% of the nation’s prison population. There are more African Americans enslaved under correctional control today—in prison or jail, on probation or parole—than there were in 1850. For more information visit occupy4prisoners.org or contact F20action@gmail.com. From the diffuse clouded sunlight, which looks and feels the same in January as it does in June, to the broken glass glinting on the sidewalks, downtown Oakland is as usual. The city barely skips a beat anymore during and after the now-normal political riots that clog otherwise empty, wide downtown thoroughfares, drawing relatively little attention from non-political passers-by beyond perfunctory updates on Twitter decrying the lack of parking due to #oo or contemplating the sometimes nearly monolithic young whiteness of these latest exhilarated, raging masses. Since the diverted building takeover on Saturday and the police riot, kettling and violent mass-arrest of marchers outside the YMCA, interest in denouncing and trying once again to co-opt and control the unruly Occupy has returned with a vengeance. Recently dormant factions of the Bay Area’s Leftish communities and political intelligentsia, often genuinely well-intentioned, are issuing statements condemning so-called violence against buildings and other inanimate objects or taking issue with the insurrectionist strategy of facing off with police and antagonizing city officials. This unnamed Occupy strategy, coupled with the hyper-militarized state of Oakland’s police force, culminated on Saturday with some 400 arrests and hundreds of thousands in city dollars spent to terrorize the populace of our fiscally gutted, deeply unequal and gentrifying city. Not surprisingly, every faction involved is staying on-message. The cops blame the protesters. The Mayor blames the “fringe” protesters who are out of touch with and beyond the control of the non-profits who claim to represent authentic communities. Within activist communities, pacifists blame the rioters. Non-profits blame outside agitators. And though I agree with their overall analysis, many of the same Occupy-ers and insurrectionists who seem to value above all else militant confrontation with the police (as much as someone unarmed can actually “confront” a heavily armed force who have state-sanctioned powers to kill) now act shocked that cops don’t follow the letter of the law, white kids can get arrested for walking down a street, and jail is not a good place. Such “politicizing” experiences of spending a weekend in jail – celebrated in the manarchist culture of back-slapping camaraderie shared by those for whom jail is a rebellious and exotic adventure – only highlight some of the many ways that privilege and punishment land unequally on the differently raced, gendered and classed bodies who get swept up in mass arrests of the 99% movement. Let’s be clear: I can’t think of any social movement that has overthrown dictators, ousted exploitative corporations, or catalyzed its populace to build alternatives to a corrupt system that hasn’t engaged in one or more of the following militant tactics: building and land expropriations, illegality, and strategic confrontation against police forces. I have been enthralled watching what is happening on Wall Street and has spread to other parts of the country and globe. I am fascinated because of the large numbers of people I see in the streets, and the amount of discontent. I appreciate the clarity that they are not disorganized but rather, since we are dealing with 99% of the population with a multitude of issues, you are going to see every different kind of protest and issue. I also appreciate the critiques brought forth by my other indigenous brothers and sisters, both within and outside the US, highlighting the use of the word “occupy”; asking folks to recognize and acknowledge the colonial legacy and history in using settler language to frame what is hopefully a mass people’s movement for liberation. The words of Audre Lorde echo for me here: “the master’s tools will not dismantle the master’s house”. It’s important to acknowledge that there are communities who have been living under occupation for over 500 years. And when we talk about occupation, why aren’t we also talking about the West Bank and Gaza Strip, Puerto Rico, or Guam? I love that people chose Wall Street to start these protests, and I love that we are talking about the accumulation of wealth by a small percentage of people and what it looks like for the rest of the people who do not share those resources or can access resources of that type. I also feel that we need to acknowledge the history and legacy of the mass accumulation of wealth within the United States to begin with, and therein lies the ability to talk about colonization and capitalism. The United States became one of the richest countries in the world because they slaughtered First Nations people for land and imported slaves for labor. It’s really easy to build the wealth of a nation, when you have stolen land and imported labor that is completely exploitable. Despair has come over me in the last few years. Normally this manifests itself as exhaustion and frustration. To understand it this time, though, you’d have to understand that the last few years haven’t been so good to my family. My dad lost his job a few years ago, and from there, we lost our house on Christmas of 2009. We had an emotional conversation about what it means to lose a home, the place where we played soccer in the hallways, and the windows, the ones we snuck into after staying out too late before mom could catch us. This loss of home and income, class, and most importantly to some, status, all led to some pretty serious depressive symptoms that have lasting impacts on a family. Some would de-politicize the moment and say ‘life is about more than politics,’ or some vague sentence about how this is ‘real life not politics.’ But that can’t be further from the truth. These moments are the key reminder that capitalism exists in our daily lives and isn’t just beyond the walls of our homes or in our theory texts. It’s in our workplaces, our schools, and unfortunately, our social relationships. That is to say, capitalism has a way of not just stealing your labor as Marx taught us, but also stealing your spirit and meaning, and teaching us to treat each other in these ways as well; as my good friend and fellow anarchist Cindy Milstein reminds me. This may s eem a bit too personal for some, but context is necessary to explain why the #occupywallstreet movement is so important, or, as Naomi Klein said from Liberty Plaza last night,“it’s the most important thing in the world right now.” You see, for a family of 6 with me as the only working member, we live in hopes of increased social spending. We live in fear of cuts to medicare and Medicaid, which our family utilizes. We are terrified of cuts to disability entitlements, to the rising cost of “public” colleges my siblings attend, and the never-ending nickel and diming of working class people. And personally, I’m terrified of the look of despair on my own mother’s face and the tears that accompany her prayers as I continue to wish I could do more to help.